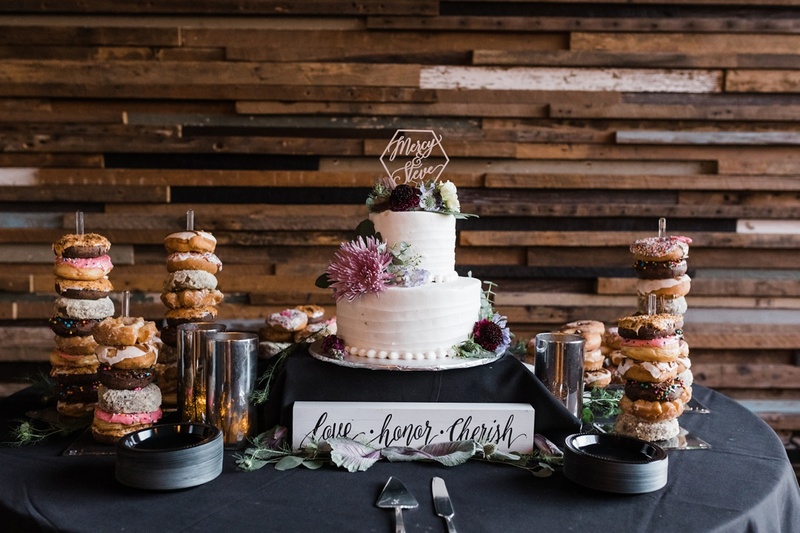 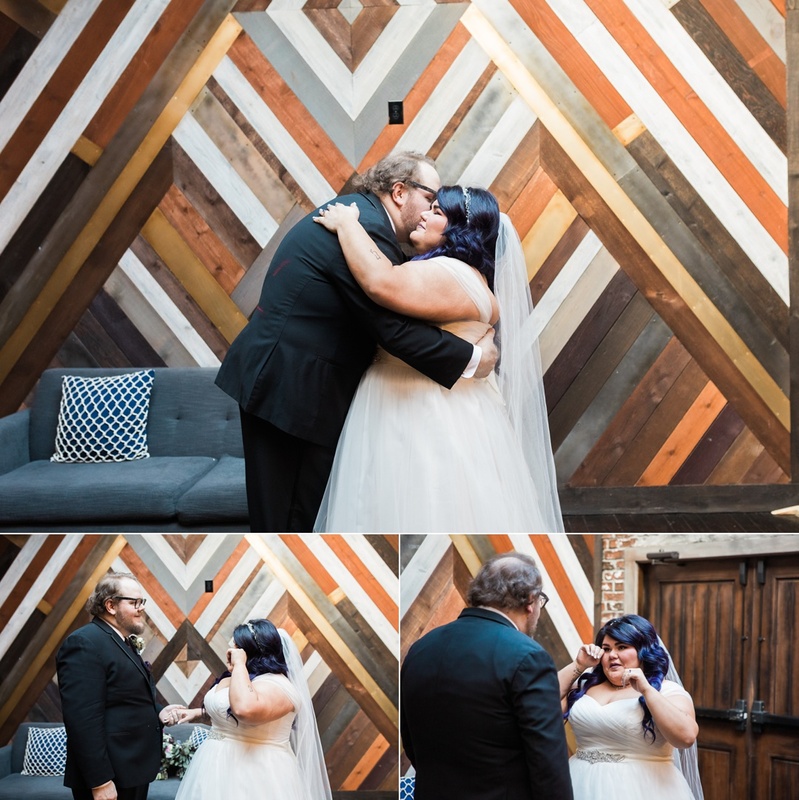 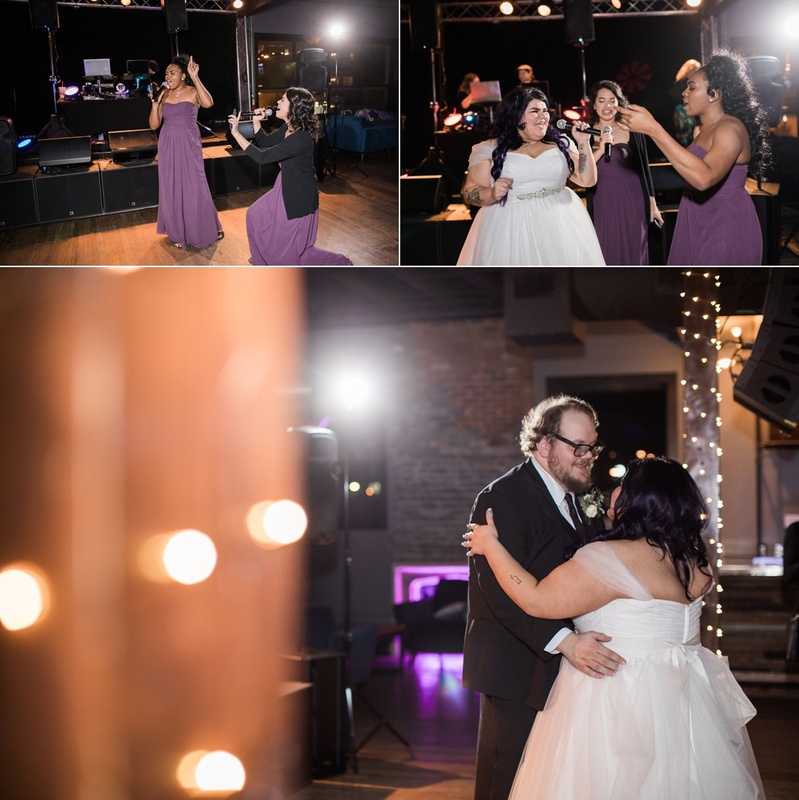 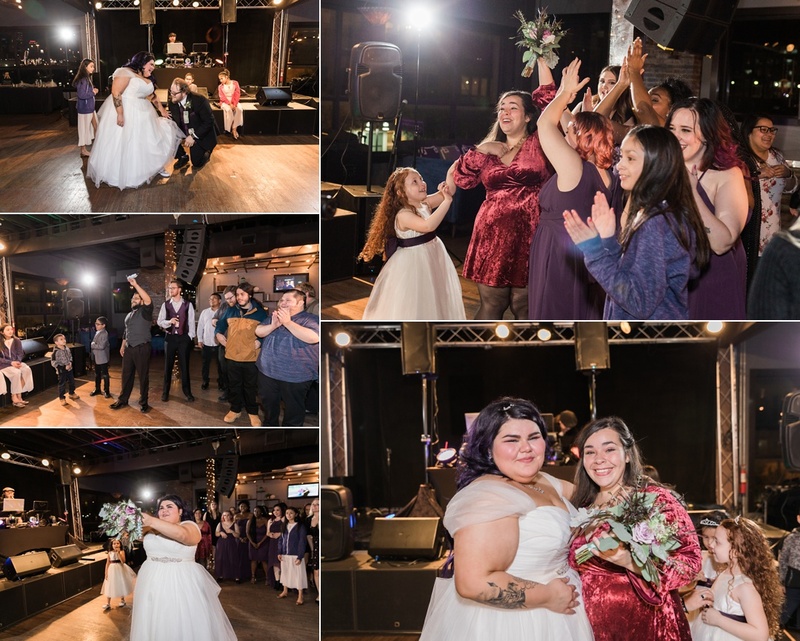 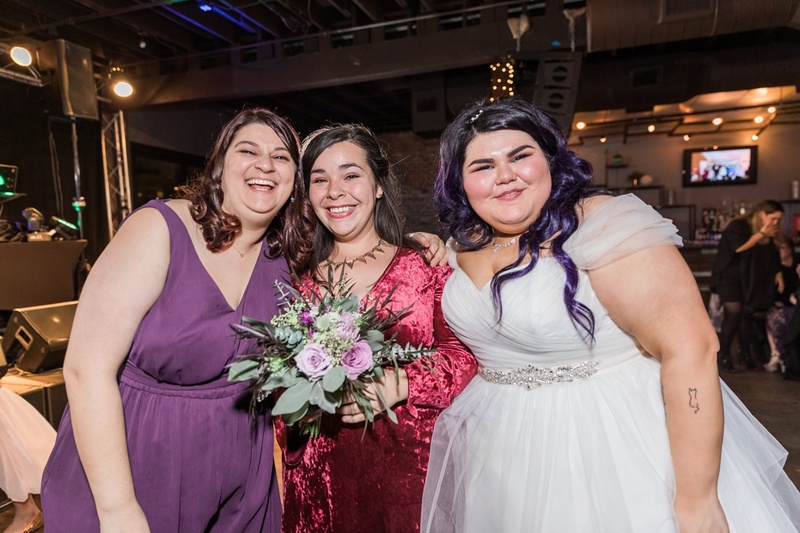 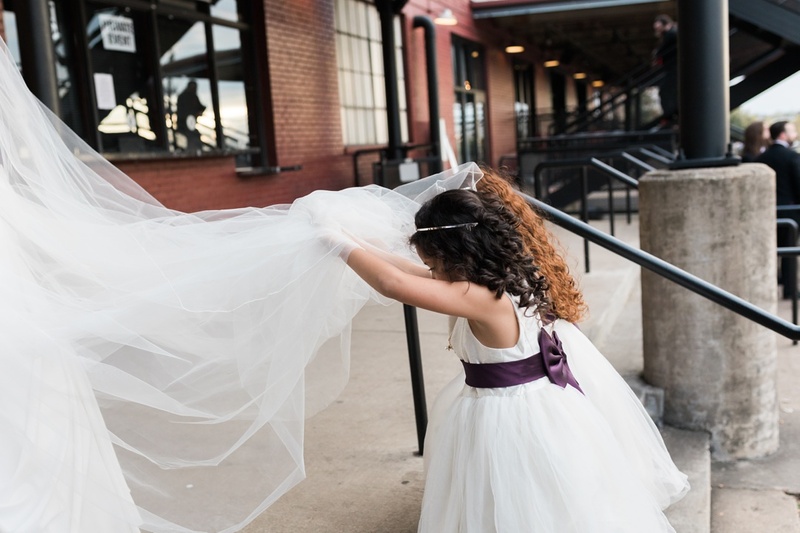 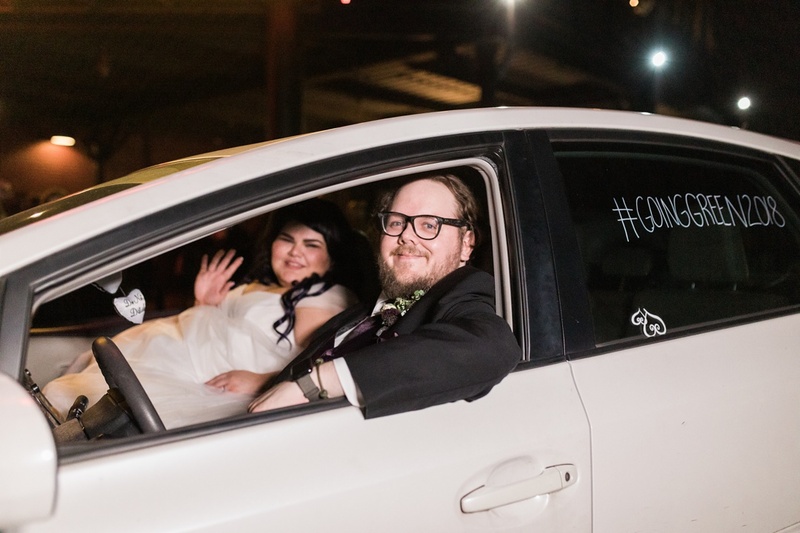 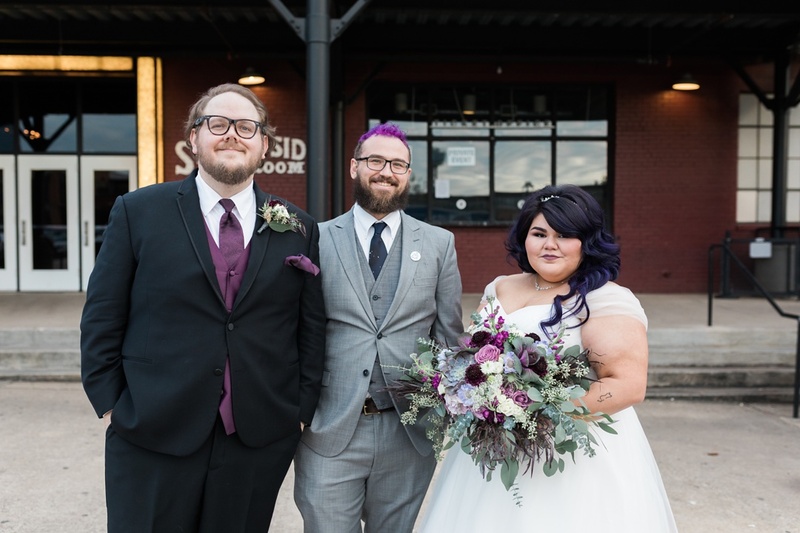 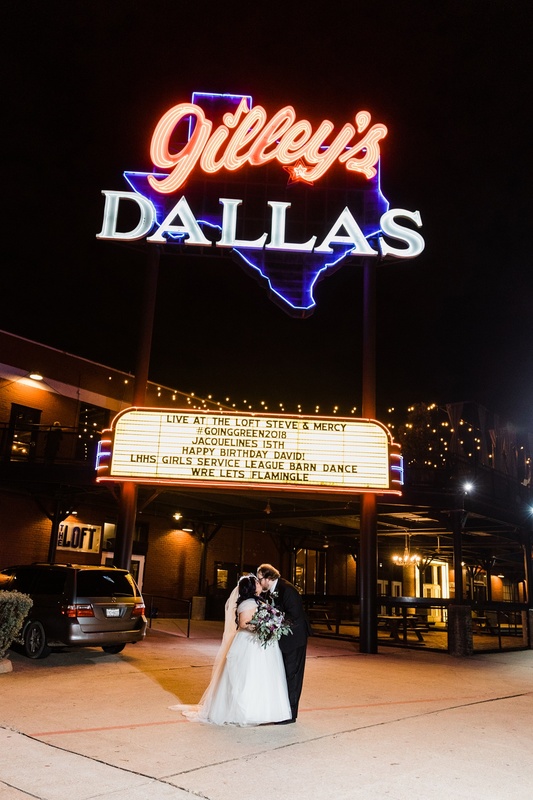 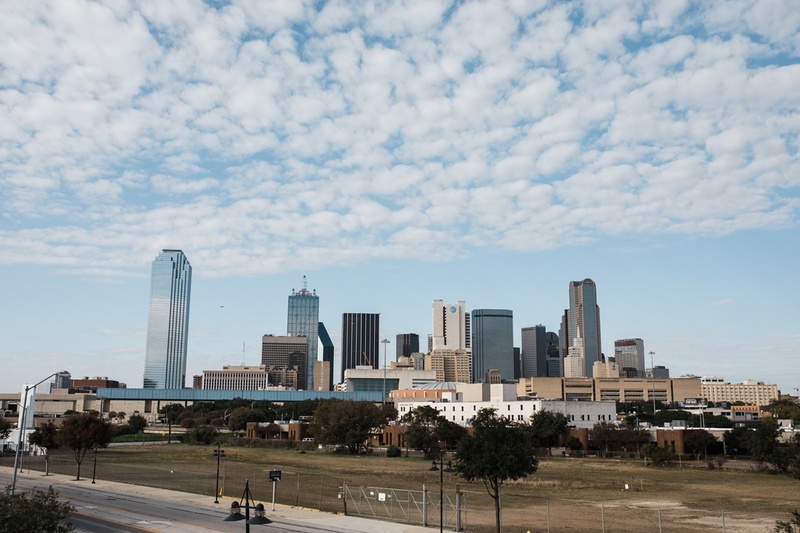 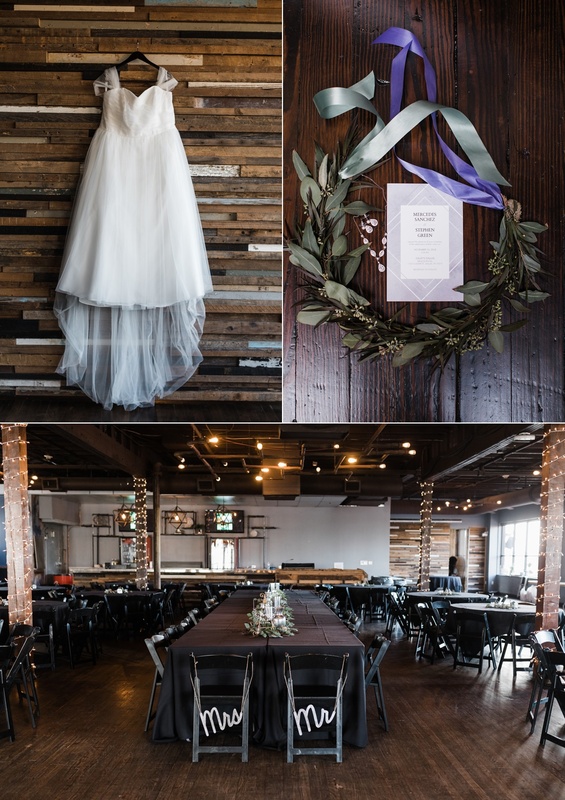 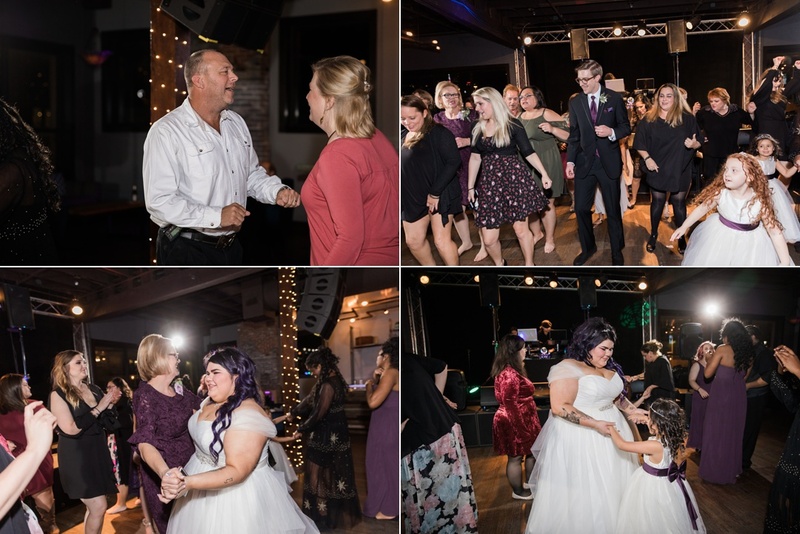 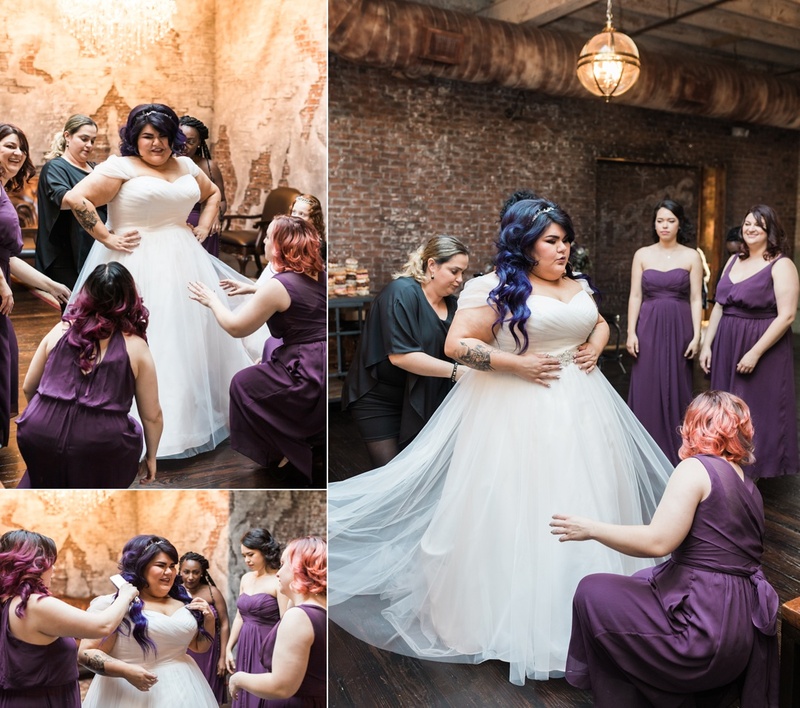 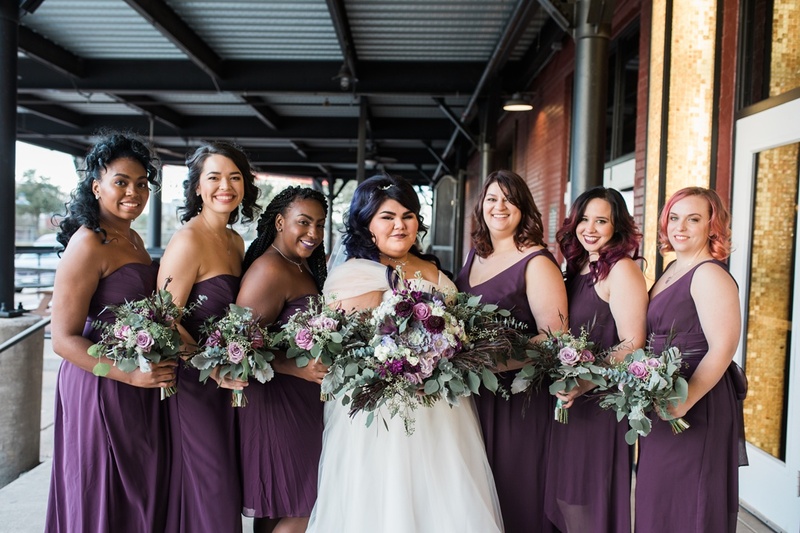 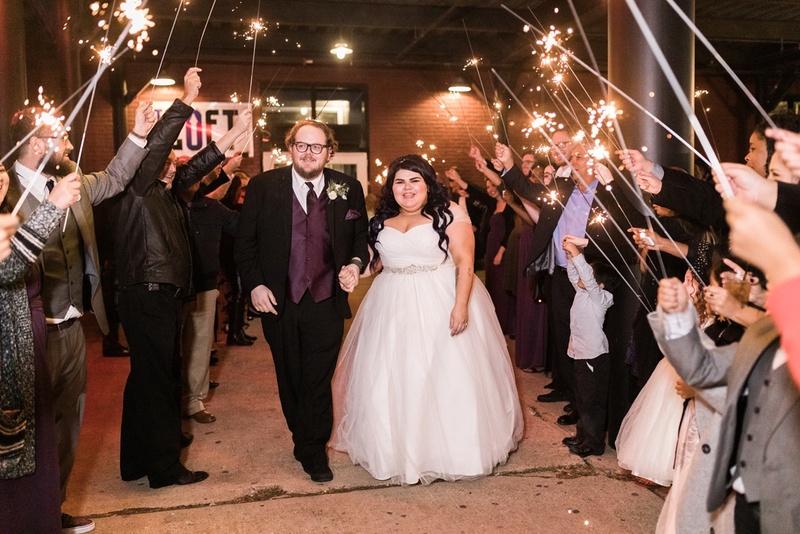 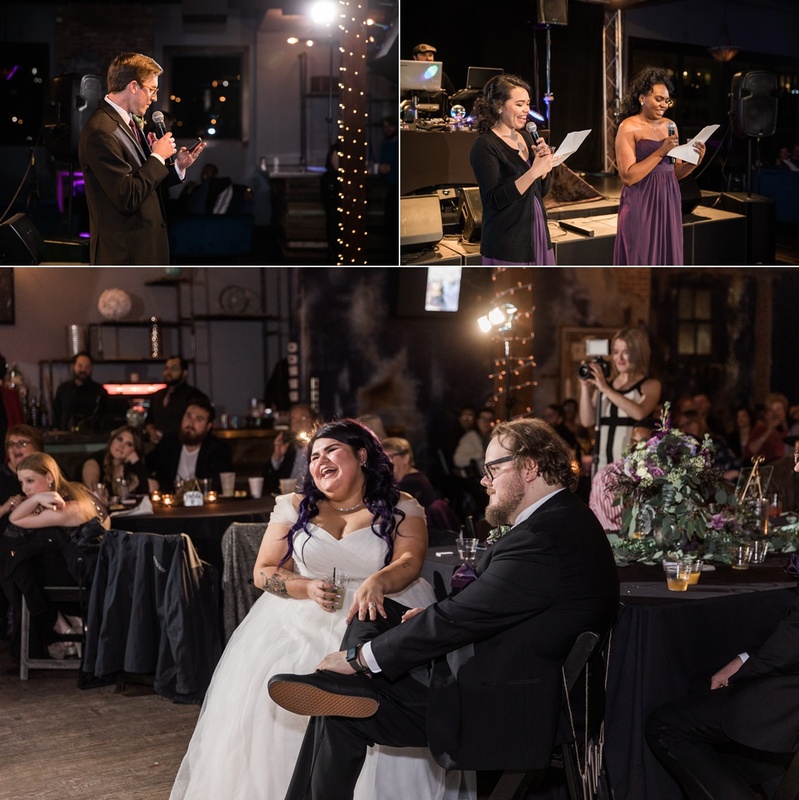 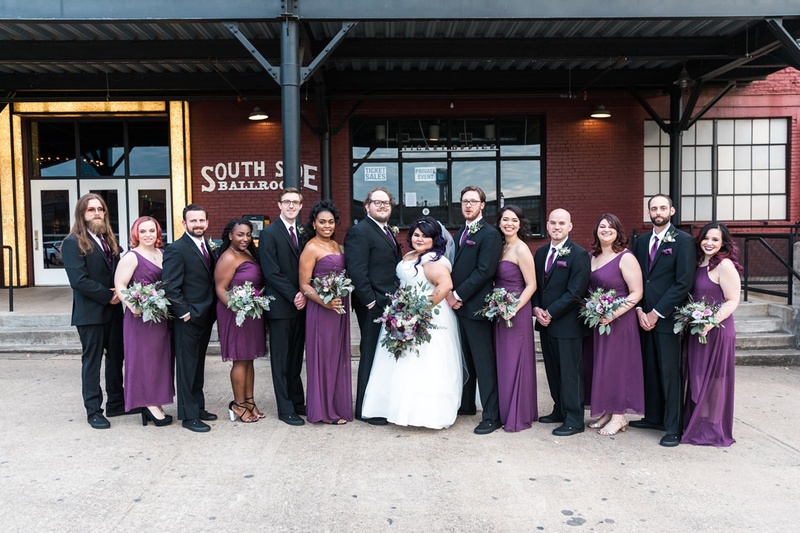 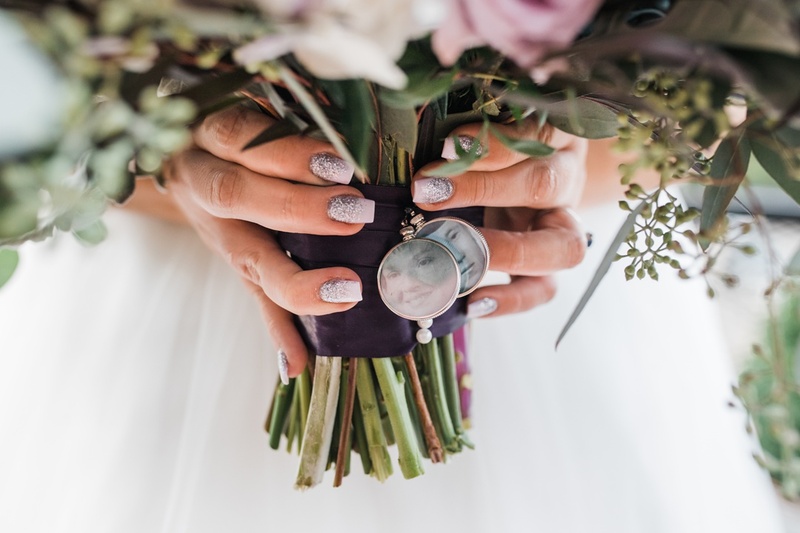 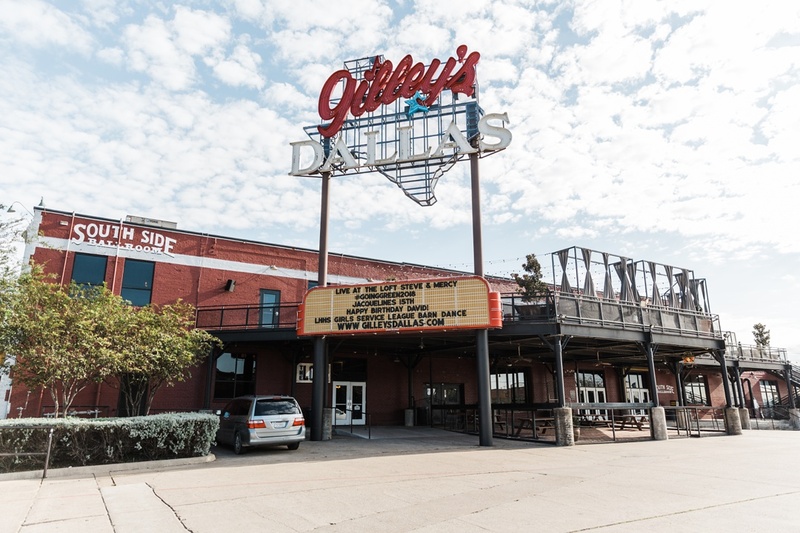 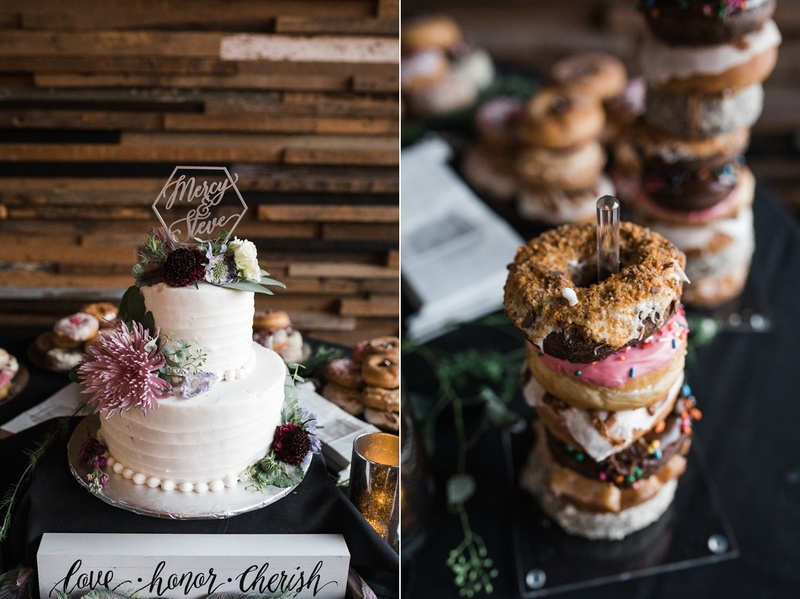 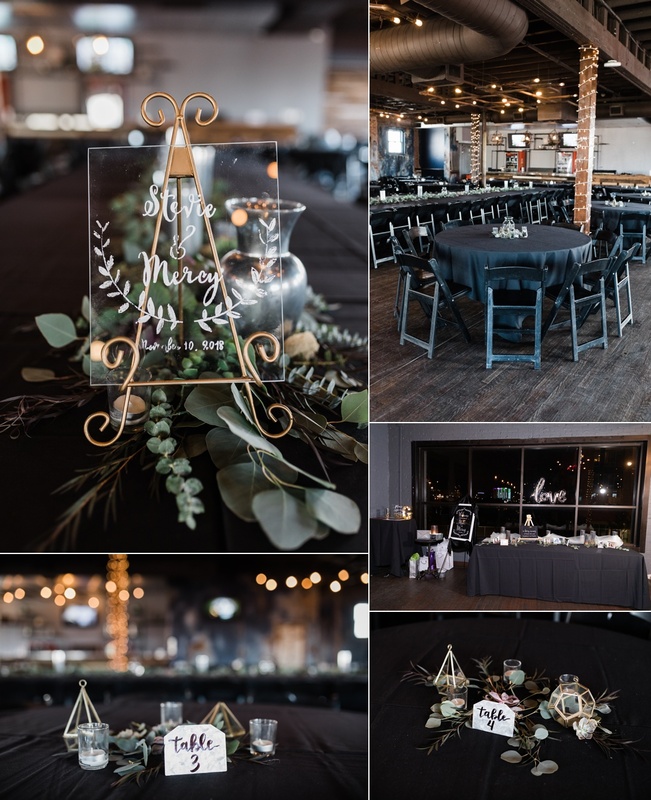 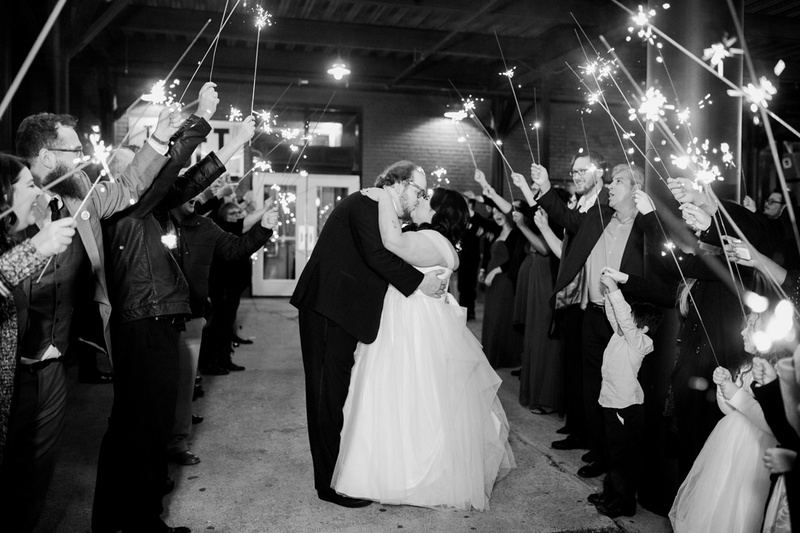 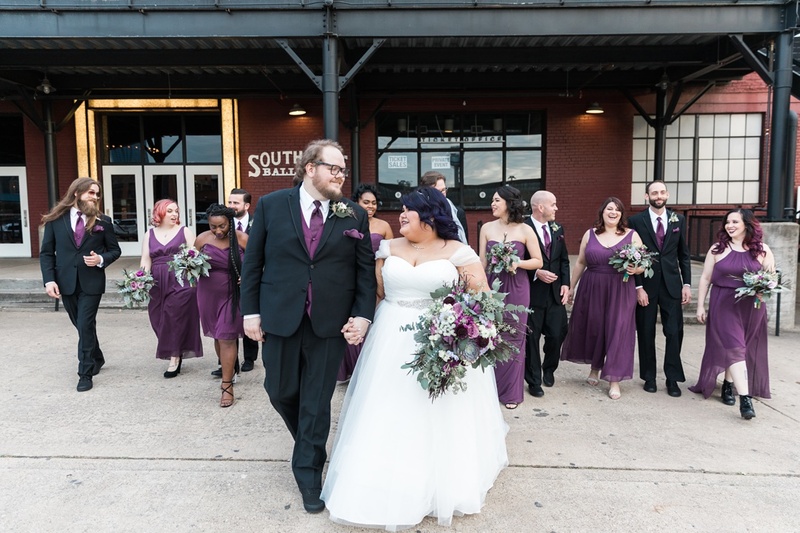 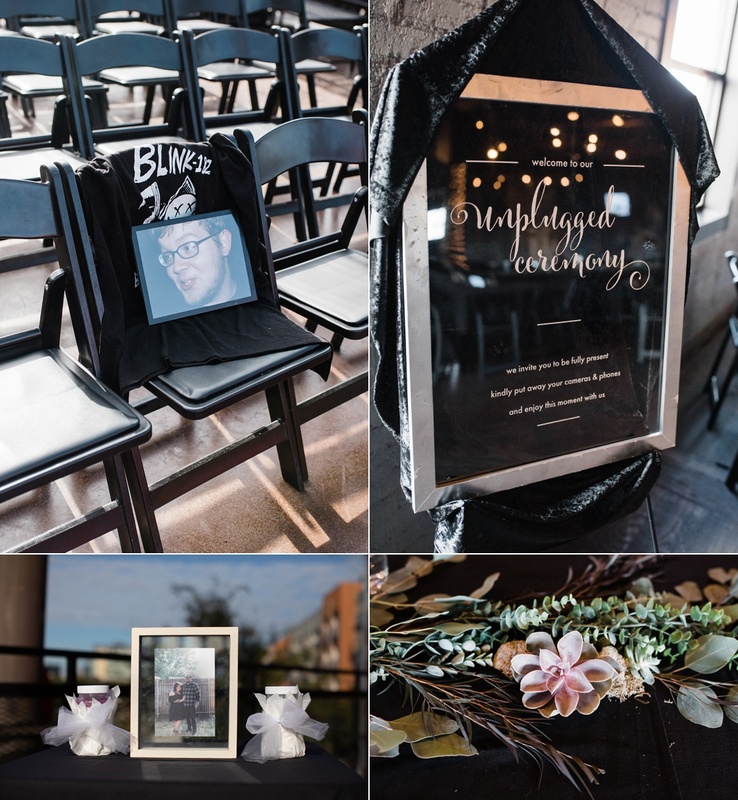 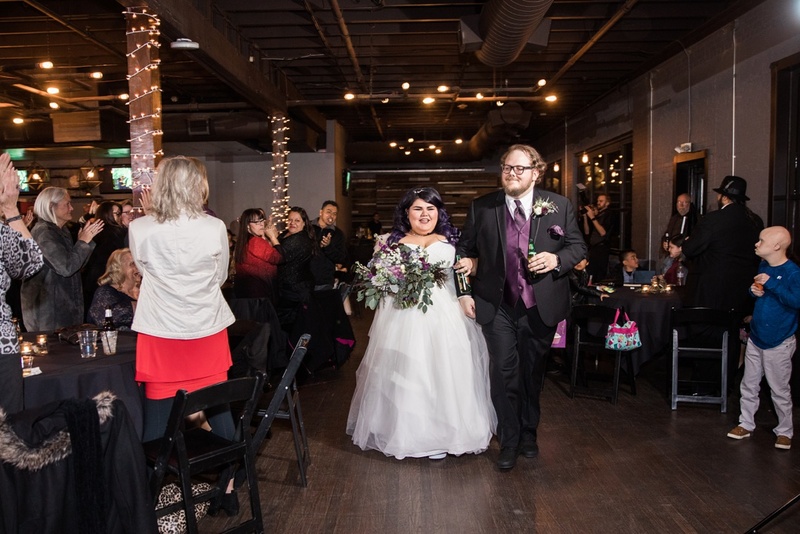 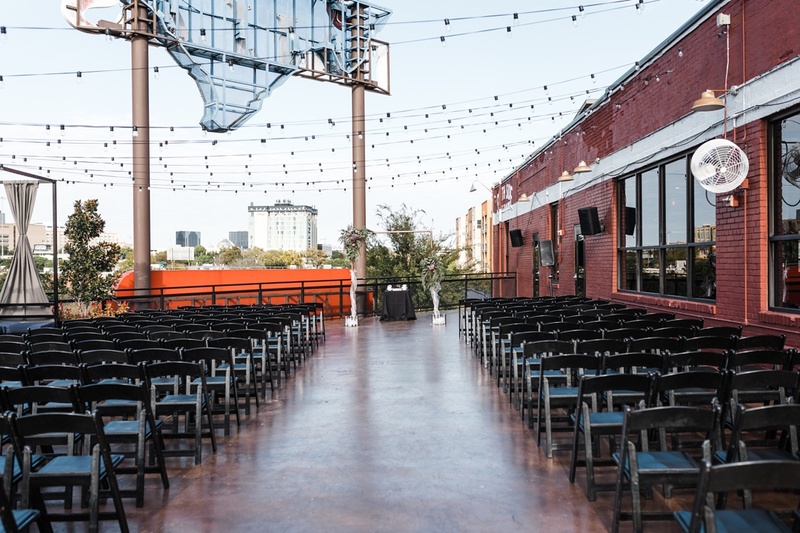 Mercy and Steve’s Gilley’s Dallas Wedding took place at The Loft at Gilley’s and perfectly fit Mercy’s modern, industrial vibe that she was going for! 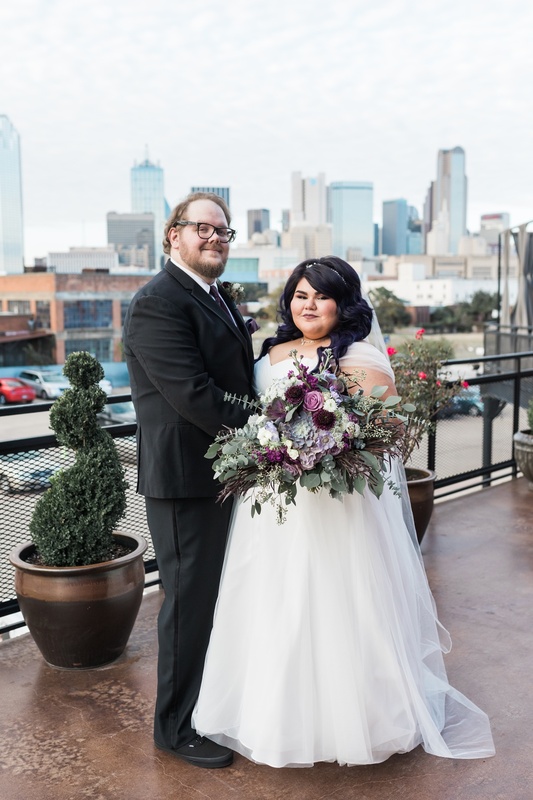 A little backstory: Mercy and I were neighbors back at our time at UT Arlington. 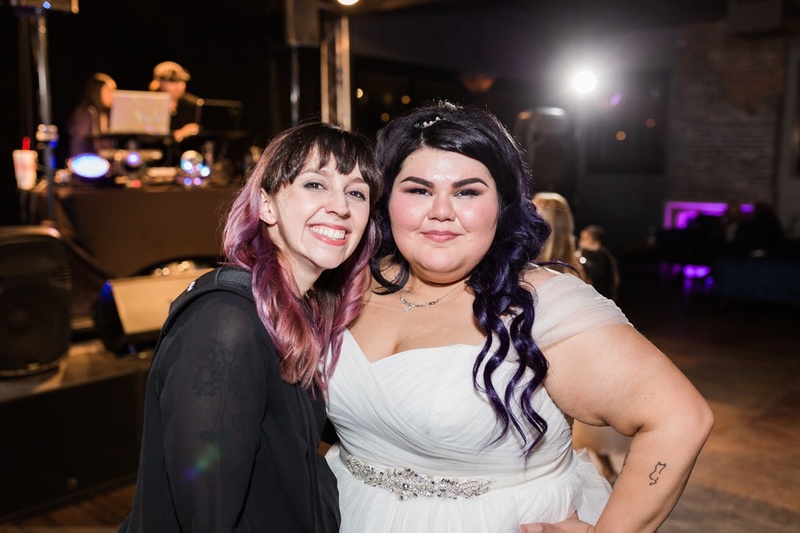 In the years since, she’s started a thriving hair styling business, and we’ve remained friends and even collaborated on a shoot together! 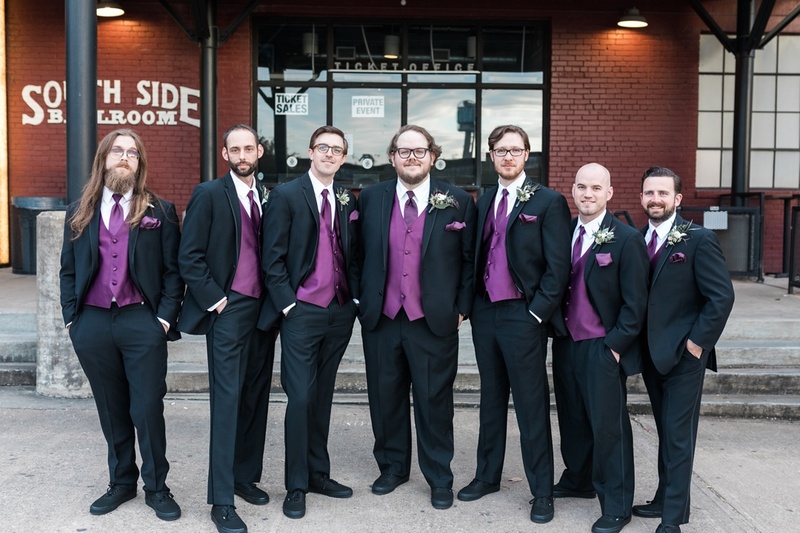 A lot of our friends run in the same circle as well, and Nick’s band mates, Kyle and Ali, were in this wedding as well. 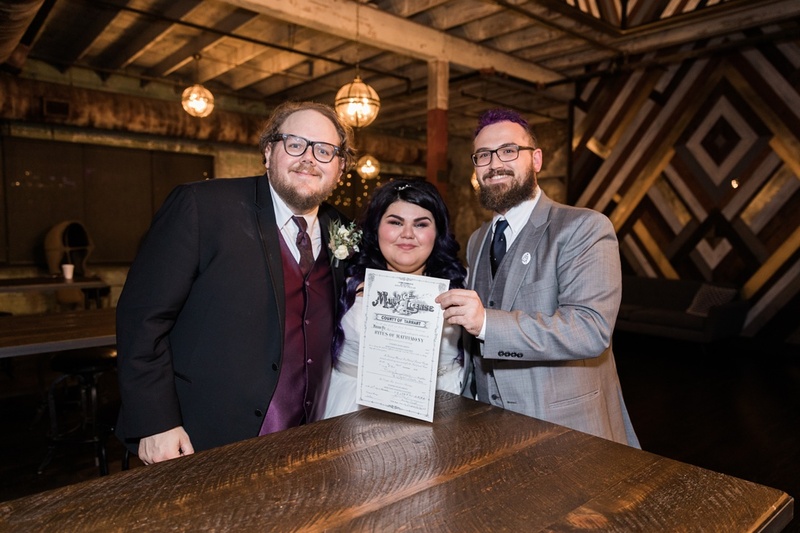 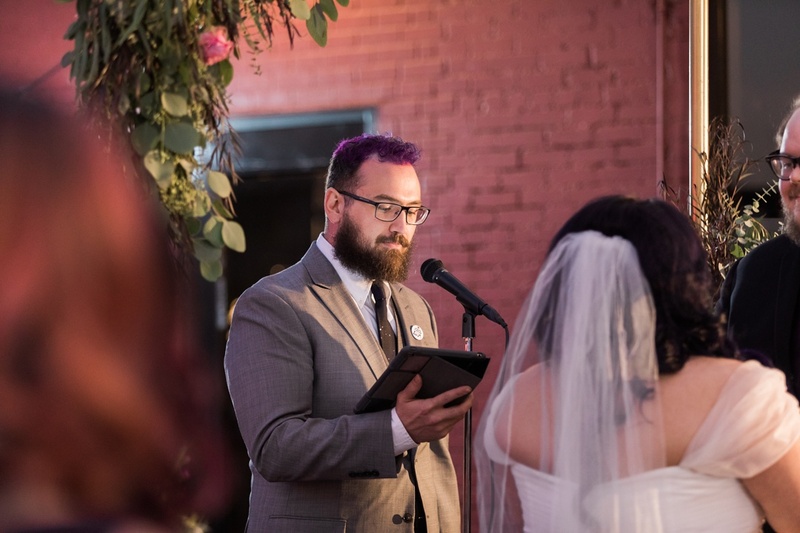 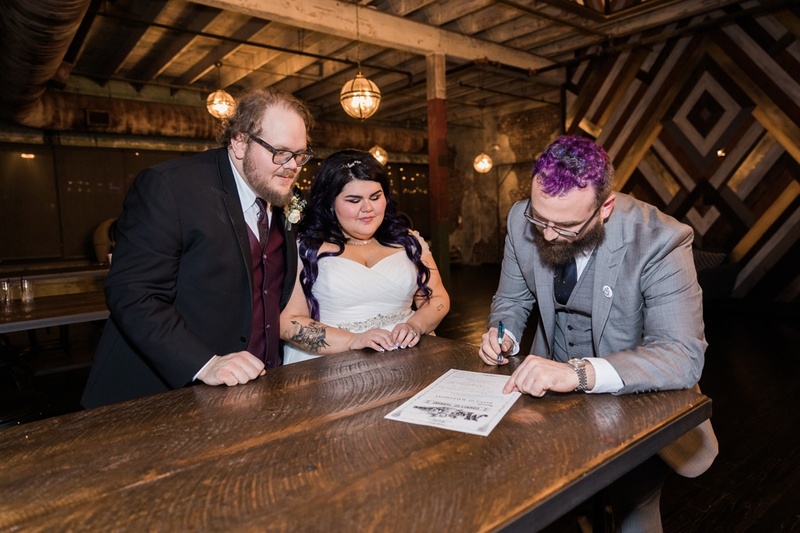 Kyle is working on starting his officiant business and did an amazing job during the ceremony! 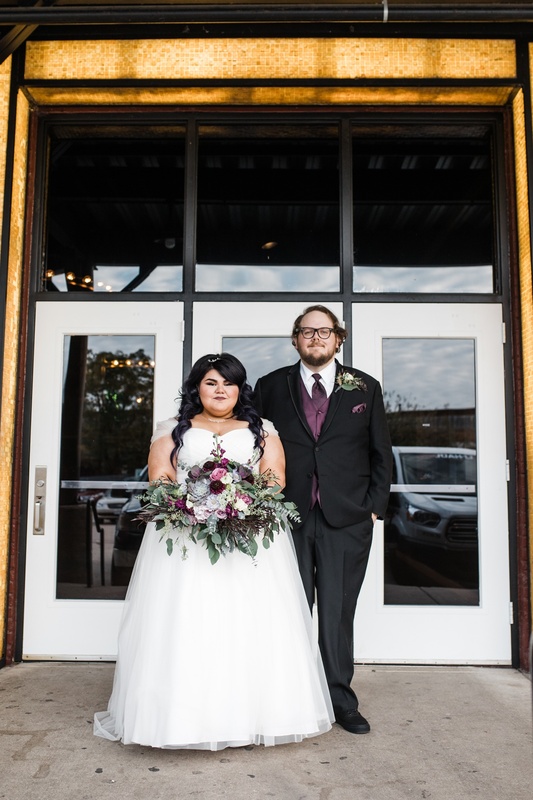 Mercy and Steve are the epitome of laid back and chill. 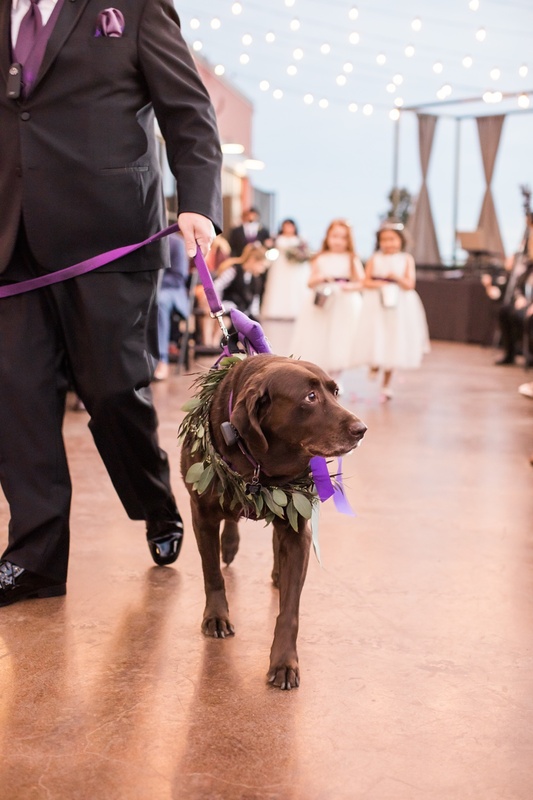 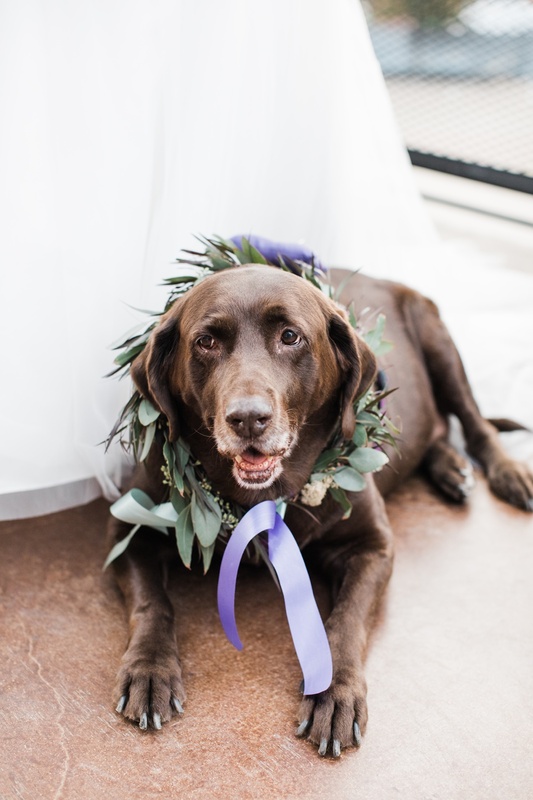 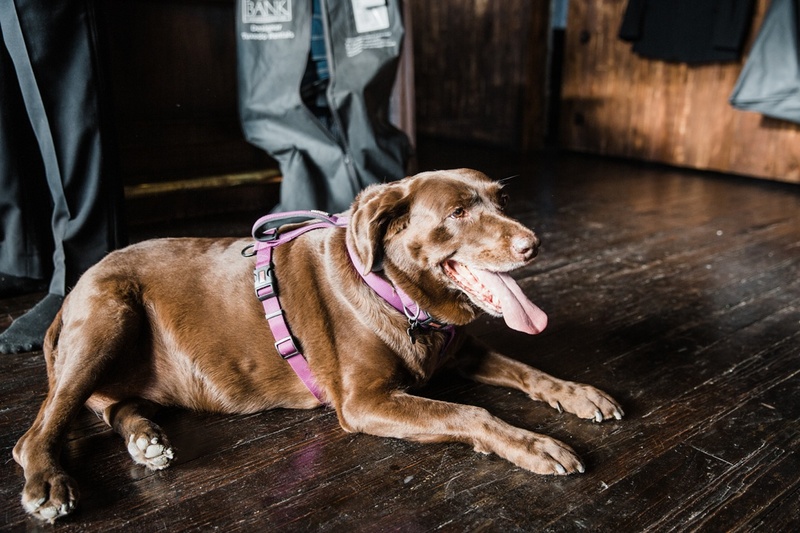 They even had their pup, Casey, as their “ring bear,” and she performed her duties extremely well (and asked for many belly rubs!). 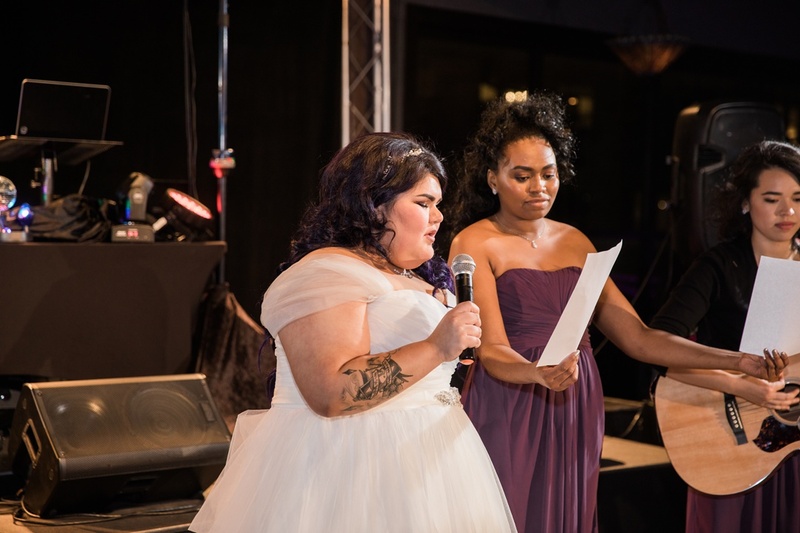 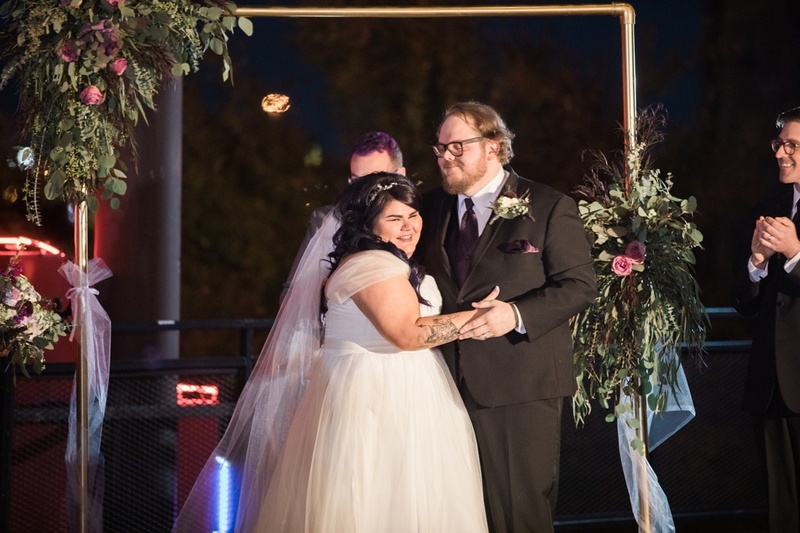 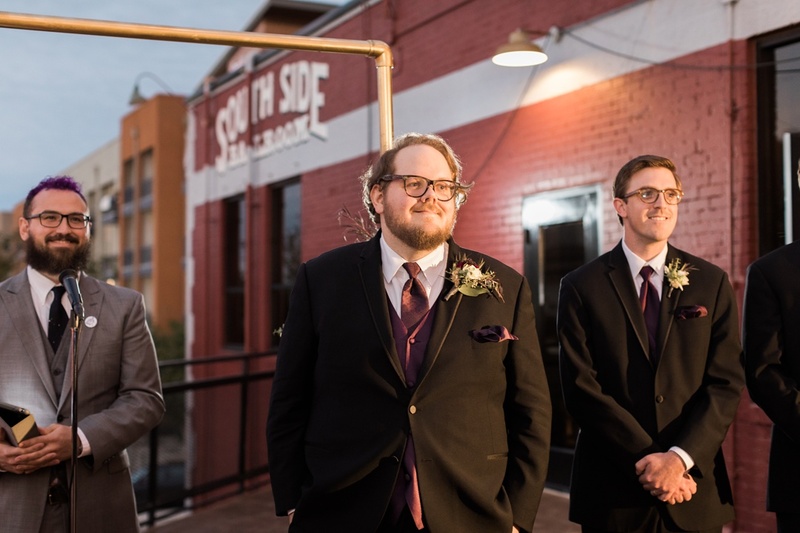 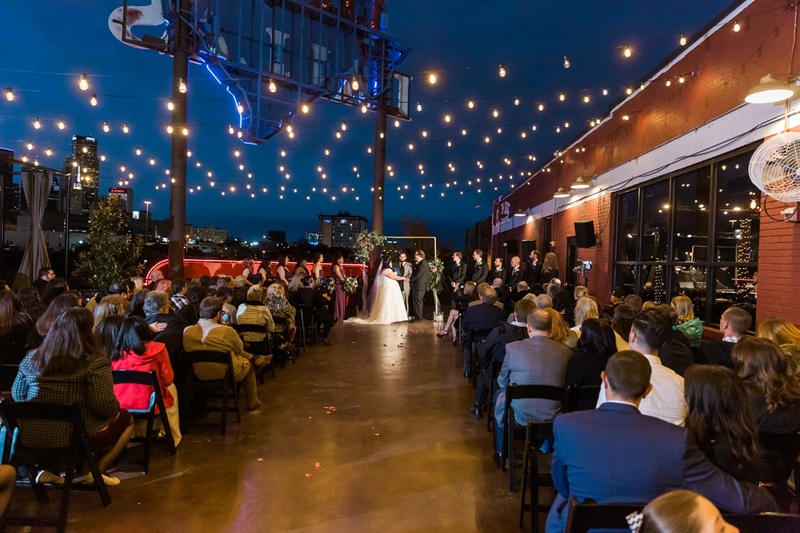 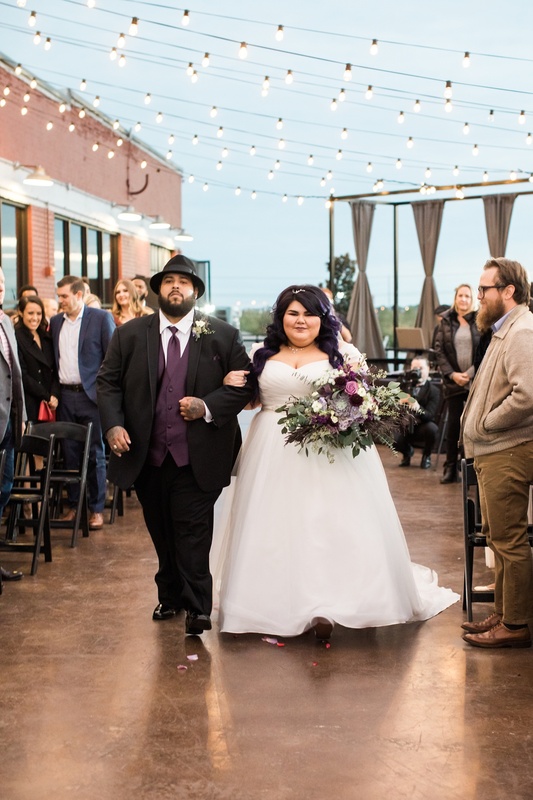 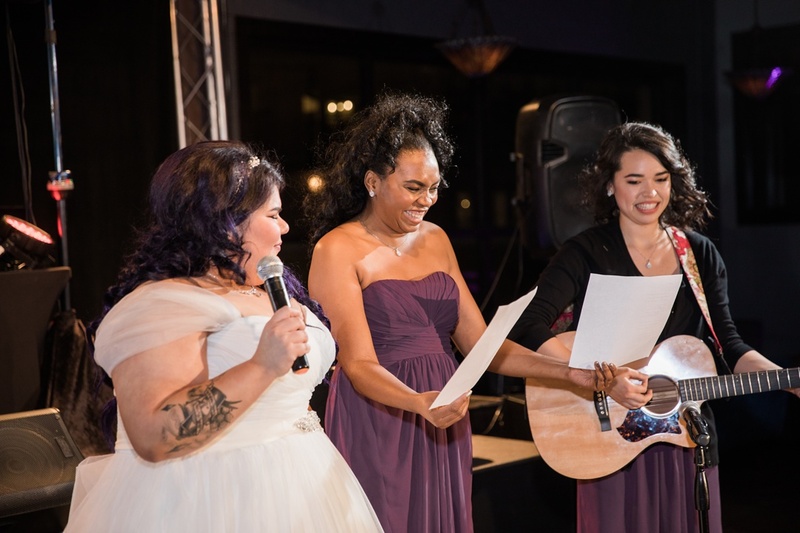 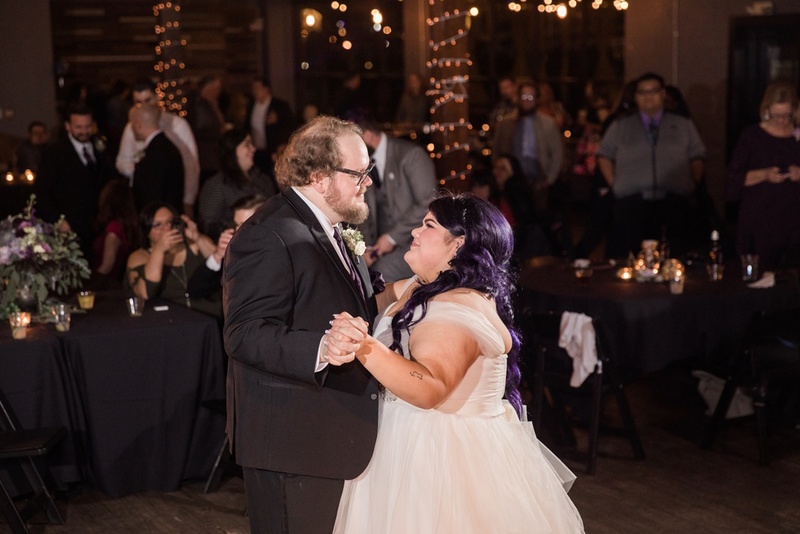 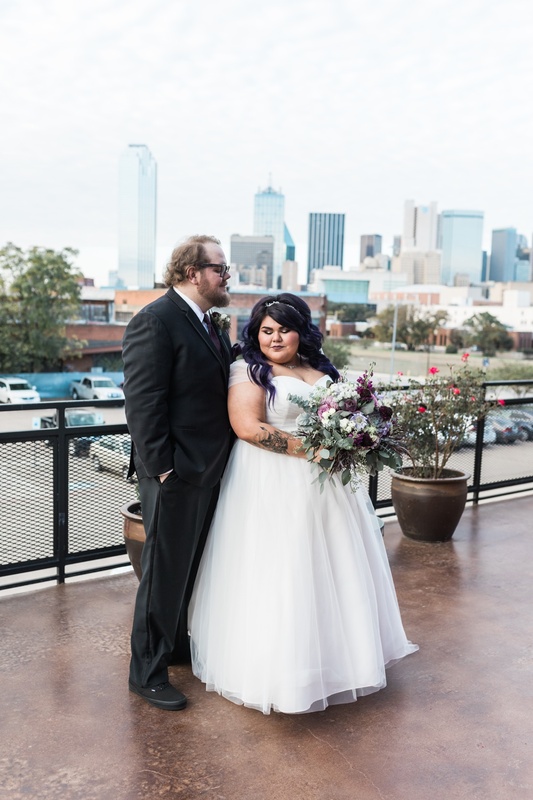 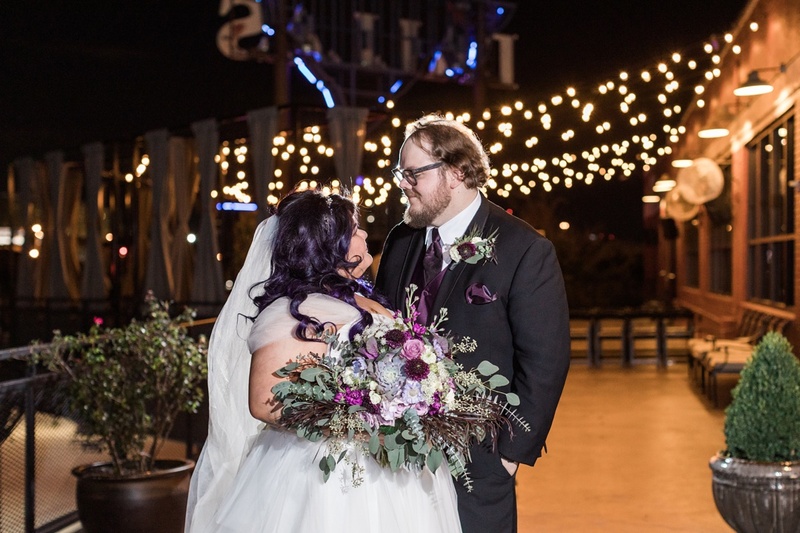 Their wedding ceremony took place right at sunset, and the Texas sky was truly magnificent as they read their own vows under the cafe lights with the Dallas skyline in the background. 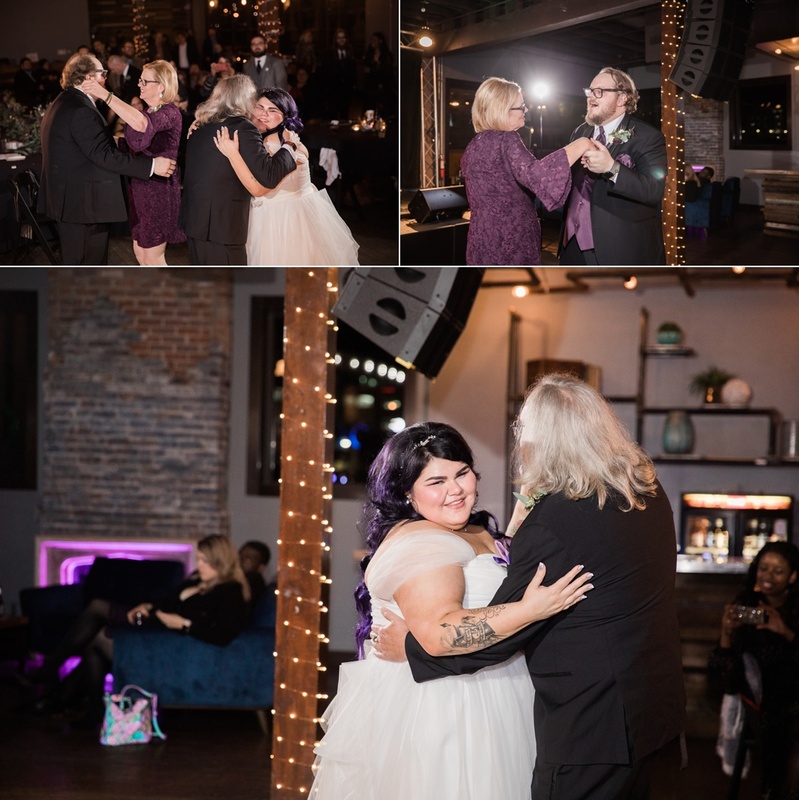 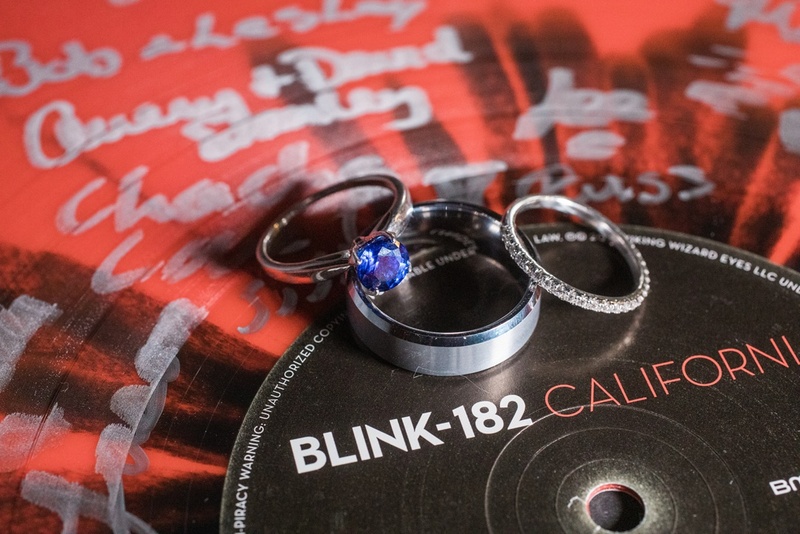 All in all, it was a lovely wedding day with a bit of a rock ‘n’ roll edge. 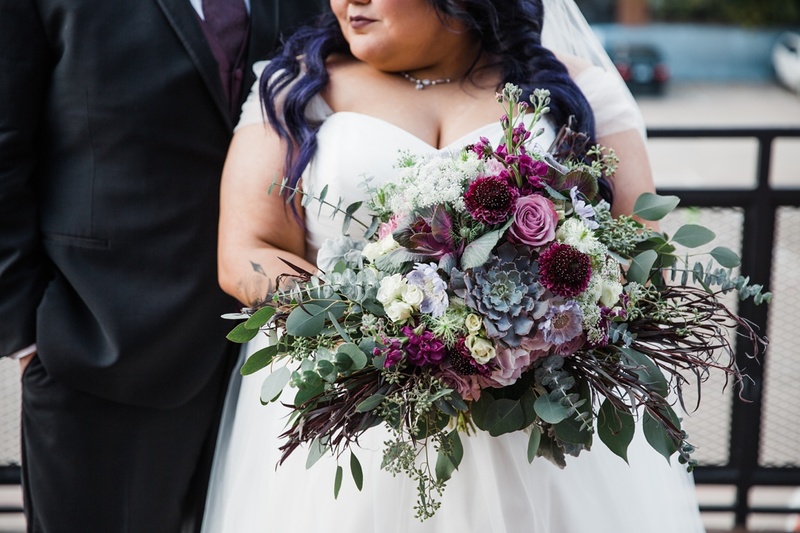 Y’all know I’m HERE for a bit of edginess! 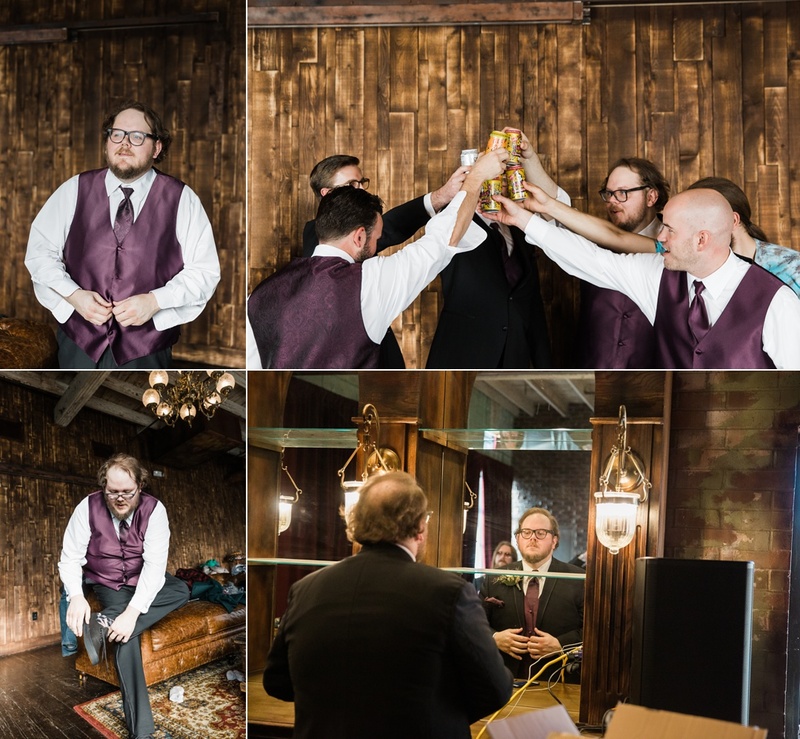 Fun wedding and great photos!